Bodies in time is the fourth in a series of works by the Sydney collective Barbara Cleveland exploring the life and legacy of their namesake: the mythic performance artist Barbara Cleveland (1945–81), who they have recovered from the margins of Australian art history. 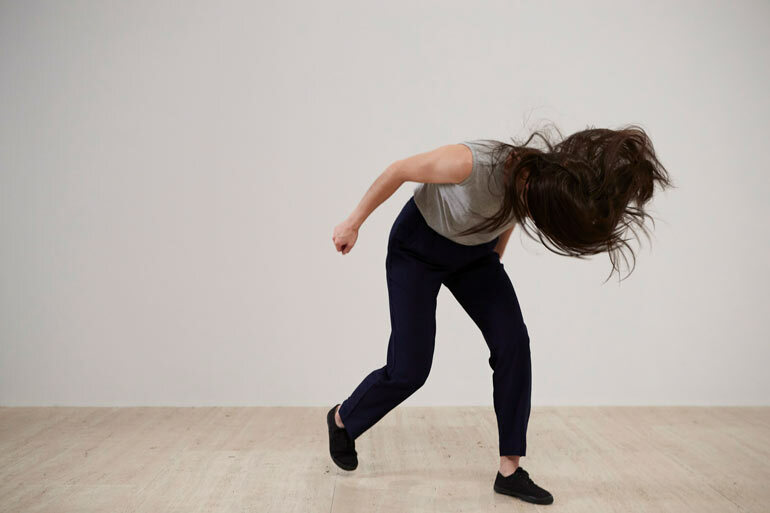 The work is based on a series of scores made by Cleveland in 1973, in which she accumulated gestures from the history of performance across both dance and the visual arts, interspersing these with pedestrian and ‘photogenic’ movements. Situated in a gallery space that would usually display work from Cleveland’s era, Bodies in time insists on the relevance of performance to a history of Australian art, while also addressing the material (and gender) bias of museum collections and art history. The collective Barbara Cleveland comprises Frances Barrett, Kate Blackmore, Kelly Doley and Diana Smith. The exhibition is part of the Gallery’s series of AGNSW Contemporary Projects, which supports new work by living artists at the progressive edge of contemporary practice.